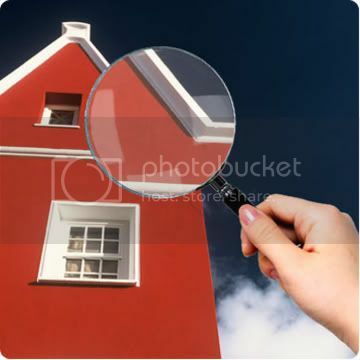 This is part 1 of a 3 part series on Home inspections. Part 1 explains how the home inspection contingency in the Real Estate Contract actually works for you. Part 2 will spell out what to look for in a home inspector and the right questions to ask before you hire one. Part 3 will spell out what to do with the home inspection(s) once you get them. From the time that you are “in contract” on your home purchase (which means, that both the you & seller have signed a document where all terms are agreed to – such as price and closing date) you have _X_ (usually between 5 – 10) # of days to have the property inspected (this is known as the inspection period). Within that time frame, you must have the property inspected by every type of inspector you would like to have inspect it (general inspector, gas line, radon, sewer, etc.). If, after you have the home inspected, you are not satisfied with the condition, you may be able to get out of the contract based on the terms of the inspection “contingency clause”. What is more common however, is to submit a “Request to Remedy” form to the Sellers (must be done within the original “inspection period” timeframe) so that you can try to get the Sellers to repair the items that make you uneasy. From there, you will have an “Agreement to Remedy” period (generally between 3 & 5 days) which allows you and the Seller to come to an agreement on what they will fix and what they will not. I often refer to this is a Second Negotiation. If you come to an agreement within the “Agreement to Remedy” period, everything moves forward and you move on your way to closing (after satisfying that pesky financing contingency, of course). If not, the contract technically dies so be sure to hire a REALTOR that understands the importance of getting this contingency cleared so that it protects you instead of hurting you. There are some additional items that can come into play (earnest money, reinspections, etc) but in the interest of time, I won’t go into details now. Questions? Email me at haleyrealtor@gmail.com or post a comment below. Thanks for listening and stay tuned next week for ”How to Choose a Home Inspector”. Article written in part by attorney, Jonathan Holfinger of Arrow Title Insurance Co. Thanks Jonathan! I’ve had a few instances recently where a Buyer has gone against my professional opinion and decided to finance their new home with a lender of their choosing because that’s where they currently do their banking or they have a friend who is a lender. Bad idea! Why? As nice as your loyalty is, lenders don’t care and underwriters care even less. Most banks are insanely stingy when it comes to lending money (even if you’ve got great credit). They’ve gotten burnt in this housing market and are losing money hand over fist so don’t be surprised when after you’ve paid for a home inspection, appraisal, etc., you get the big DECLINE. You can avoid this hassle by giving me some background info into your financial situation and goals. I work in real estate 7 days a week and come with a financial background so I know the right questions to ask and can do the legwork for you to find not only the best deal but also a lender that can get the deal completed. Because even if a lender is offering lower closing costs or a better rate…or is your mother’s cousin’s nephew’s sister, it doesn’t matter if you lose the house you love because of a technicality or the underwriter was simply having a bad day. Most of my preferred lenders are local and offer a great customer service experience too so there is no drawback to using my recommendation…and no, I don’t get a “kickback”. Can I Deduct A Loss Of Home Value On My Taxes? This is otherwise known as “upside down” (hence the photo). For example, you bought your house for $300,000 and have to sell it for $250,000 because that is what the market will bear. Can you write off the $50,000 as a loss on your taxes? 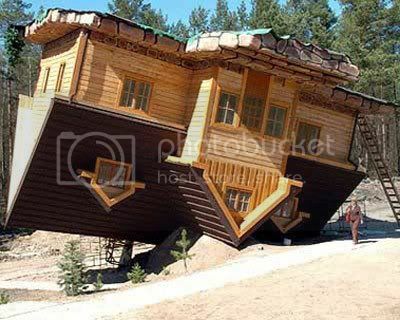 Of course, there are always caveats (for instance, if this home was used a rental property). I recommend the use of an accountant to help you in those situations. The good news? Your profit isn’t taxed either in most cases. There are a few stipulations with this one too (you have to have owned the home for at least two years AND used it as your primary residence for 2 of the past 5 years if it was owned for more) and the amounts are limited ($250,000 for single filers & $500,000 for joint). I always recommend talking with a tax professional about your particular situation but I do hope this helps answer the black & white question for you. And don’t forget to call me when you’re ready to sell your home! WheelTours had it’s 4th event last Saturday in Worthington. It was a great workout and we really got to absorb the vibe of Worthington…biking through beautiful neighborhoods, past parks alive with the sounds of children enjoying life, and jogging neighbor folk. The homes we saw were a good combination of new and old (view more photos of the event here). The first was a cape cod on a gorgeous and tranquil lot. The best part was the inside, where the homeowners had gutted and re-modeled the kitchen, adding a wet bar in the living room, and transforming a sun porch into a family room. The finishes were stunning (a photo of the kitchen is below)! We also viewed a Frank Lloyd Wright home in the most unique neighborhood in Central Ohio (and peaked in the windows of another really neat, Round house…with permission of course). We viewed two other homes and all were priced between $150, 000 – $535, 000 and within walking distance to quaint, downtown Worthington and definitely within biking distance to Olentangy Trail at Antrim Park. As you can see Worthington has a variety of well priced homes. It’s also a wonderfully tight knit community and even has a pretty cool night life (if you haven’t checked out House Wine yet, you’re missing out). The Worthington Farmers Market is a great place to frequent. They’re open on Saturdays (in the summer) from 9-12. One of my favorite places to get a cup of coffee is Scotty MacBean at 660 N. High. They have games available for you to play (from Trivial pursuit to Jenga) and get a good, cheap(er) cup of coffee. If you can think of any more cool places to check out in Worthington, post them in the comments below. The 5th (and last…for now) WheelTour event will be in German Village on July 23rd. I would love it if you would think of someone you know who might be looking into buying (or selling) a home, and tell them know about these events. It is a great way for Buyers to experience a neighborhood/lifestyle and a perfect way for Sellers to get exposure to their neighborhood and home. I can be reached by phone/text at 614-530-0005 or email at haleyrealtor@gmail.com for questions. Have a fantastic weekend…and an uber exciting/safe 4th of July!! When I’m house hunting with most husband/wife couple’s, it’s usually the woman who makes the buying decisions. That’s great but on this Fathers Day, I’d like to give Dad’s some options. Whether they’re married, single, or “in a relationship”, Dad’s need to feel like their needs are taken care of too. Here are 6 homes in Central Ohio that Dad has been dying to see! Has ~2000 square feet and 3BR/2BA This one is for the complex Dad…the one who enjoys the peace and serenity of 4 acres of land but also wants to be close to all that the downtown/city lifestyle has to offer. It has a 2 car attached garage and an outbuilding suited for 4+ Cars, which would be a cool workshop…or an covered batting cage/indoor soccer for all of Dad’s “troops”! The floorplan even allows for a Mother-in law suite…for the Dad who truly embraces his family too. What a DAD! This house backs up to the Westerville bike path for the active Pop…and comes with nearly 2 acres of land as well. It comes equipped with not one but two ponds AND a 3 car garage! But wait, there’s more…there is also a “workshop” (ie. “man cave”) above the garage for the guy who needs his space (and what guy doesn’t sometimes). All of this for only $248,000! There are so many cool condos downtown but when this cute…oops, I mean very masculine and rugged (there are cement floors) loft space WITH a tax abatement, I knew this was the place for the hip dad with a tight budget to enjoy the hustle and bustle of downtown and still be able to ENJOY the fine dining, sports teams, nightlife, coffee shops, etc. that downtown has to offer. The $169,900 price tag gets you not one but TWO bedrooms on the 7th floor of the Exchange Urban Lofts building. Views of the city and a close proximity to it all too. Walk or Bike to the new Scioto Mile and Columbus Commons! For the Dad who likes water, this home right on the banks of the Scioto River in Dublin comes equipped with access to a boat dock…and a koi pond. The Master suite opens out to a private deck with a hot tub that views that Scioto River, which is a lovely place to de-stress after a long day of parenting. There is a walkout basement that includes surround sound speakers that every man will enjoy. Other nice features to save Dad some time & energy are an irrigation system and an electric dumbwaiter (who doesn’t love a dumbwaiter?! )…and it’s located in a gated, Dublin community. This condo in Dublin’s Lakes at Ballantrae community is for the Dad who doesn’t feel like cutting grass anymore but still wants to enjoy the relaxing effects of nature. The stocked pond is seen from the kitchen, master bedroom, great room, & 3 seasons room. Surround sound system in the basements “man cave” make watching sports games or “gaming” a much more enjoyable experience. There’s also a pool table for those nights when Dad gets a little competitive…and a 1/2 mile down the road is the Scioto country club for when the real competitive urges strike! This Ranch home on a private street in the 43235 has over 3500 square feet of pure awesomeness for Dad. Have your friends over to watch the next boxing match in the professionally designed home theater. Grilling out on the huge deck out back is no chore when you’re looking over the wooded ravine that encompasses the yard. Serve dinner to your family in the 3 seasons room!